Rescue 3 is the recognised leader in water and flood rescue, training over 150,000 students throughout the US and 32 foreign countries. Known for a dynamic curriculum and utilising state of the art techniques. 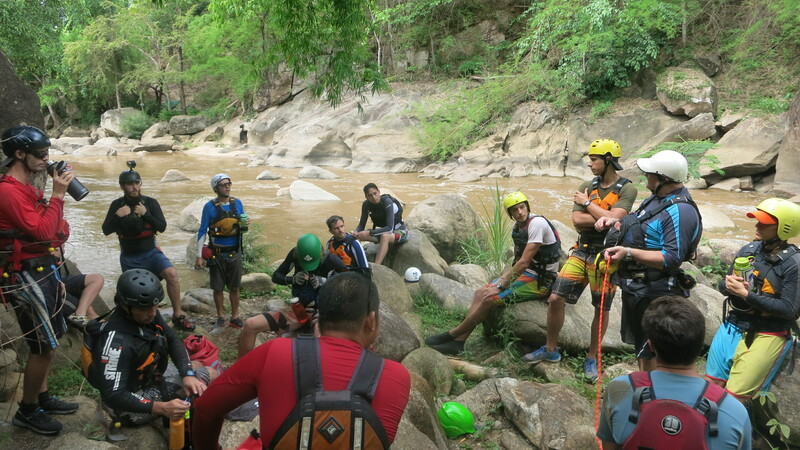 The Wild Planet is Rescue 3's preferred training provider within Thailand and via our staff of Rescue 3 certified instructors can offer the full range of water rescue programs. In order to accomplish the responsibilities of the awareness level responder, the course also provides students with a conceptual understanding of the principles, applications, and hazards associated with advanced water rescue techniques. This course is designed specifically for professional guides, private boaters, fish and game personnel, and others who work or play on or around flowing water. 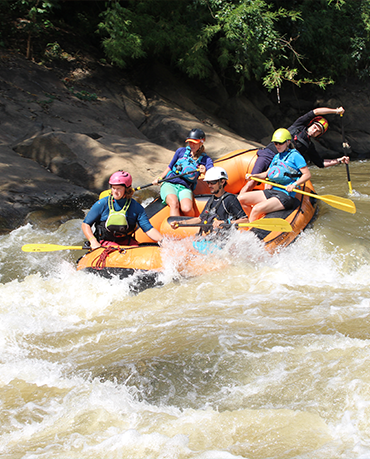 Students will benefit from this intensive, hands-on course and will learn to use techniques and simple equipment to assess and perform river rescues. The emphasis is on speedy, low-tech, and improvised rescue techniques that are effective and require minimal equipment. This course also features a mock night rescue scenario. The Wild Planet © 2018 All rights reserved.